Kelly is a fan of TED Talks. She works tirelessly at Chilliwack General Hospital as an RN and is passionate about dancing and travel. Michael is a nearly life-time resident of Chilliwack, and his travels have always brought him back here. He is a Program Director at Currency Marketing, the Community Manager at Cowork Chilliwack, and a member and leader at many local organizations ranging from Chilliwack Rotary to the Chamber of Commerce to the 2018 RBC Cup to SimPhoney Improv and Secondary Characters. In his spare time, he’s an enthusiastic supporter of his sons’ sports teams, an avid patron of the arts, likes to learn and have meaningful conversations, loves to read, and enjoys travelling with his family. Mike has run his own business in Chilliwack for over a decade. It is a true pleasure for him to do what he does. Using his marketing knowledge to sell homes, help families move and to help clients achieve their real estate goals. His is an industry that allows him to help families make a house a home, and the satisfaction he gets from his career is second only to that of my family. Dedicated to his community, Mike is also giving of time and resources to many groups such as youth sports, homeless initiatives, educational programs and community planning. Mary is a traveller who has called Chilliwack home for the last nine years. She is part-time student at UFV, an improv performer and bridge player. You might have also seen her in her capacity as marriage commissioner or biking along the backroads of Chilliwack. Kathleen has had a successful career working as Executive Director for several not-for-profit organizations including the Downtown Business Improvement Association and Restorative Justice and Youth Advocacy in Chilliwack. She created multiple award-winning events such as Party in the Park and is a recipient of the Chamber of Commerce Legacy Award. As a Professional Coach and End of Life Celebrant, she specializes in Life Transitions. Kathleen is an accomplished speaker and advocate who is passionate about helping people reach their potential. Janine is the Founder and Director of Soap Box Speakers. She prides herself on bringing groups of people together who stand out, even when they don’t intend to, to collaborate. Steve coaches high-performance business leaders and owners to go that extra mile to deliver winning experiences: for themselves, their people and their teams. Steve has over 20 years CEO experience, is an International Coach Federation Board Director (Vancouver), a coach to the United Nations Humanitarian Coaching Program and a Non-Executive Director to three consultancies. Steve coaches clients from around the world from: Bangladesh, Canada, Egypt, England Greece, Portugal, Saudi Arabia, South Africa, United Arab Emirates and the USA. Berris is the CEO of ChillTV and a member of the Rotary Club of Chilliwack. Lorri is a new resident to Chilliwack and thoroughly enjoying it! Relocating her social media marketing business to Chilliwack, she has joined the Chamber of Commerce and has become a sponsor of another local organization, The Total Makeover Challenge, in efforts to integrate herself into this community. No stranger to TEDx events Lorri is excited to officially be on the marketing committee after doing the social media buzz on event day for TEDxChilliwack in 2017 and 2018 as well as TEDxAbbotsford in 2017. She was also on the RBC Cup marketing committee. Tim McAlpine is the President and Creative Director of Currency Marketing. He is best known for developing the Young & Free Marketing Program and the It's a Money Thing Financial Education Program that credit unions from around North America are using to connect with new young adult members. Locally, he is the owner of Cowork Chilliwack, a CEPCO board member, co-organizer of TEDxChilliwack, board chair of Mt. Lehman Credit Union and a former board chair of the Chilliwack Chamber of Commerce. Scott was one of the speakers at TEDxChilliwack 2016, and is absolutely thrilled about being a judge and coach to the speakers for the upcoming TEDxChilliwack 2018. He is a busy RE/MAX Realtor, an active Chilliwack Toastmaster and co-founder of CashMob Chilliwack. His latest project is launching a YouTube Channel called Avant-Grub! Nathan helps people discover their strengths—their greatness. His talent and passion for coaching empowers people to embrace positive change and really make a difference. Nathan has led teams to Peru, Kenya and Mexico, conducting aid work in local communities, promoting local development in-country and here in Canada. 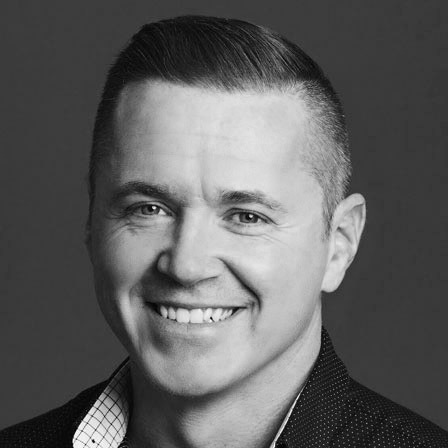 Nathan is an Associate Certified Coach (ACC) with the International Coaching Federation (ICF) and Certified Executive Coach (CEC) graduate of Royal Roads University. Nathan works with business owners and leaders to increase their impact, efficiency and positive culture. Trevor is a passionate and creative people leader with over 20 years of rich and diversified leadership experience. A passionate facilitator and trainer, Trevor has been requested to design and deliver content for several teams and companies including government agencies, not-for-profit businesses and executive leadership teams. Trevor is a senior Regional Manager for Bell Canada and also works with several business owners consulting on communication strategy through his company, Speak Shop.